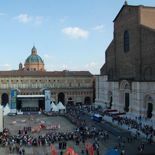 First in a two-part series about how Italy’s libel laws violate freedom of expression guaranteed by the European Convention on Human Rights. Above: the European Court of Human Rights in Strasbourg, France. Photo by Alfredovic at Italian Wikipedia. Licensed via Wikimedia Commons. As a member of the Council of Europe, an international organization comprised of 47 European member states, Italy is bound by the European Convention on Human Rights and subject to the jurisdiction of the European Court of Human Rights in Strasbourg, France. 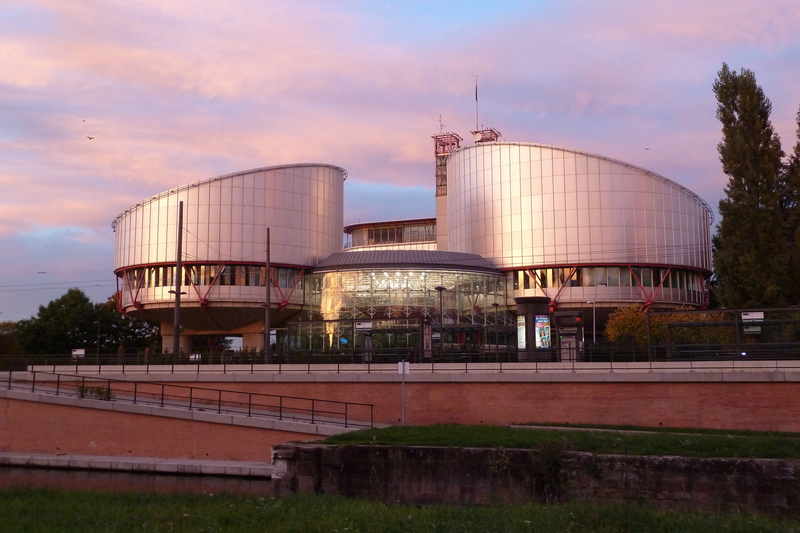 The European of Court of Human Rights (ECHR) has held on several occasions, however, that Italy’s defamation and libel laws do not fulfill its international obligations under the European Convention, particularly with respect to freedom of expression. This article is first in a two-part series about how Italy’s criminal defamation statutes violate Article 10 of the European Convention. The first part outlines European standards for freedom of expression and how the court has applied those standards to the member states’ national defamation laws. The second part will explain how Italy’s laws fail to conform to the standards established by the Court. Part 2 will also discuss Italy’s failed efforts to reform its libel laws and the geo-political consequences of its legislative shortcomings. Thus the media has the right to impart information and ideas to the public, and the public has the right to be adequately informed, particularly on matters of public interest. These freedoms, however, are not absolute. These are often called the “paragraph 2 restrictions” because they appear in Article 10, paragraph 2 of the European Convention. The ECHR has established a three-prong test to determine whether a state’s interference with freedom of expression is legitimate according to the paragraph 2 restrictions. The interference must 1) be a formality, condition, restriction or penalty prescribed by law, 2) the law must be aimed at protecting one or more of the interests stated in paragraph 2, and 3) the interference must be necessary in a democratic society. The state has the burden of proving all three requirements according to the following standards established by the ECHR. In 1979, the ECHR held that the list of restrictions in paragraph 2 is exhaustive. Therefore the state must first identify the value or interest, and then it must confirm that the interest is listed among the paragraph 2 restrictions. The ECHR has also held that defamation statutes are only valid when applied to expressions of fact, not value judgments. [xii] Since the right to hold opinions is inviolable, the natural extension is that states cannot punish people for expressing those opinions. Defendants can only be held to answer for the veracity of the facts underlying those opinions — not for expressing opinions that might harm another’s reputation. The ECHR has issued several rulings applying the proportionality principle to defamation in general and criminal defamation specifically. More specifically, “The limits of acceptable criticism are accordingly wider as regards a politician as such than as regards a private individual” because the politician “inevitably and knowingly lays himself open to close scrutiny of his every word and deed by both journalists at the public at large,” the Court wrote. [xvii] The politician must therefore “display a greater degree of tolerance” of criticism. [i] Muller and Others v. Switzerland (1988); Chorherr v. Austria (1993); Stevens v. the United Kingdom (1986). [ii] Van Dijk and Van Hoof, Theory and Practice of the European Convention on Human Rights at 412 (Kluwer 1990) (quoting a Report of the Committee of Ministers). [iii] Vogt v. Germany (1995). [iv] Handyside v. United Kingdom (1976). [v] Autronic AG v. Switzerland (1990). [vi] Sunday Times v. the United Kingdom (1979). [vii] Monica Macovei, Freedom of Expression: A Guide to the Implementation of Article 10 of the European Convention on Human Rights at 31 (Council of Europe 2004). [viii] Leander v. Sweden (1987). [ix] Sunday Times v. The United Kingdom (1979). [x] A. Rzeplinski, “Restrictions on the Expression of Opinions or Disclosure of Information on Domestic or Foreign Policy of the State,” Budapest 1997, CoE Monitor (97) at 3. [xi] Macovei, supra, at 34. [xii] Lingens v. Austria (1986). [xiii] Proportionality is a general principle enshrined in Article 27 § 3 of the European Convention. See also, Macovei, supra, at 35. [xiv] Observer and Guardian v. the United Kingdom. [xv] Macovei, supra, at 35. [xvi] Lingens v. Austria (1986). [xviii] Sunday Times II v. United Kingdom (1991). [xix] Macovei, supra, at 52. This entry was posted on May 22, 2015 by Janna Brancolini in Issue 4, Legal and tagged EU law, European Court of Human Rights, Freedom of Expression, Freedom of Press, Freedom of Speech, International jurisprudence, International law, Law.